Our airport transfer services take you from Stansted Airport straight to the heart of London via the West End (Baker Street) and London City (Old Street). Both the pick-up and drop-off stops that we utilise at Baker Street are exceptionally easy to reach from Baker Street underground station. The station is a 200 metre walk from the drop off point outside 214 Baker Street; roughly a 2 minute stroll. 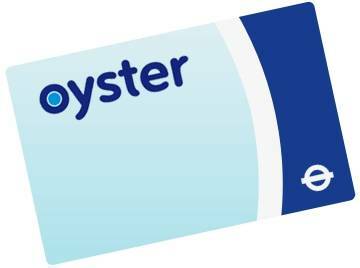 To reach the pick-up point for this service from Baker Street underground station, simply leave via the Marylebone exit, take a right, and continue past Glenworth Street until to you reach the Gloucester Place / Baker Street crossroad. Bus stop 19, directly outside the Allsop Arms pub, should be right in front of you. This journey should take around 5 minutes on foot. Many bus services operate in the local area, see the official Transport For London website https://tfl.gov.uk/ or call +44 (0)20 7222 1234. The drop-off and pick-up points for the London City end of our Stansted route are located almost directly opposite each other on Old Street, meaning that they both enjoy extremely easy access to Old Street tube station. Old Street tube station is a 2-3 minute walk away from both Old Street Stop F and Stop G.
Old Street Overground station is situated even closer to our Old Street drop-off and pick-up points than Old Street Underground station; allowing access to National Rail services that can take travellers all over the country. Many local bus services operate in the local area, see the official Transport For London website https://tfl.gov.uk/ or call +44 (0)20 7222 1234 for further details.